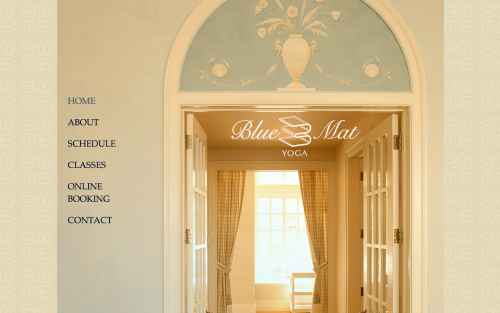 This elegant site is for a new yoga studio in Easton, MD. The primary responsibility of the site is to link visitors to MindBody to reserve classes in advance online. We established Blue Mat’s Facebook and Instagram presence as well as the website.